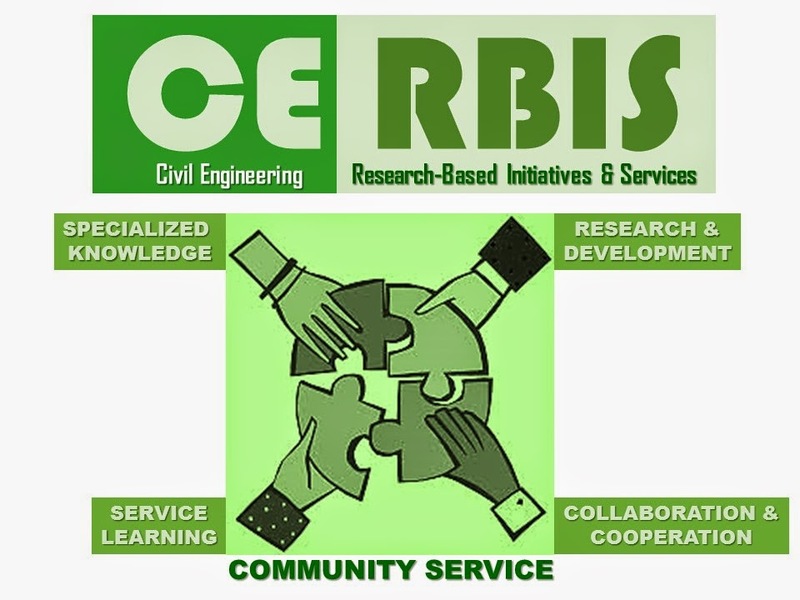 CERBIS or Civil Engineering Research-Based Initiatives & Services is a community service and enagegement activity of the DLSU Civil Engineering Department where undergraduate and graduate researches address civil engineering related problems in the community and local government units. Among the problems and issues that have been addressed in recent years are on traffic management, transportation planning, disaster risk assessment, seaimic, wind and flood risk assessments, supporting LGUs in the preservation of heritage buildings and promotion of safe schools. The researches are conducted either by the DLSU students and faculty only or in collaboration with other schools or LGUs. 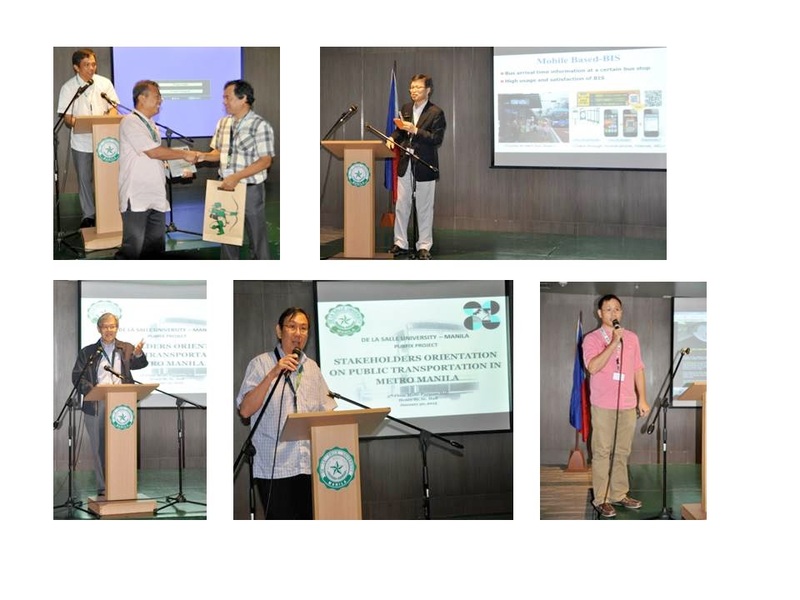 For example, in Iloilo City where most of the projects were done, DLSU CE Department conducted joint researches with the local schools (Central Philippine University and UP-Visayas) and the local government units (Iloilo City and Guimaras Province) to solve CE related local problems in Iloilo City and Guimaras Province. These researches focused on (a) preserving the Heritage site/buildings of Iloilo City, (b) Traffic and transport management through sustainable transport scenario modelling in Iloilo City and (c) Analysis of tourists for job creation and economic growth. 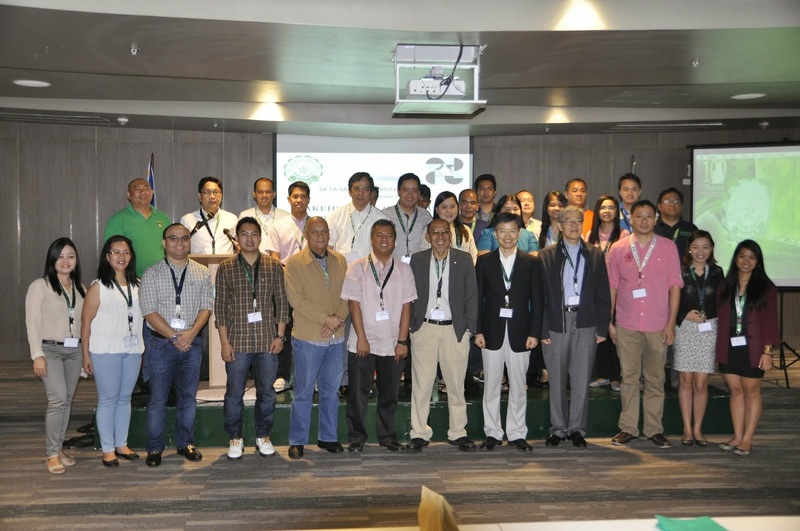 The DLSU hosted the Stakeholders Orientation on Public Transport System in Metro Manila last January 30, 2015 at the 5/F Multi-Purpose Hall, Henry Sy, Sr. Hall. This workshop was organized by the team under the DOST-PCIEERD-funded project entitled, “An Integrated and Optimal Scheduling of a Public Transport System in Metro Manila (PUBFix)”, headed by Project Leader, Dr. Alexis M. Fillone of the Civil Engineering Department and Assistant Project Leader, Dr. Elmer P. Dadios of the Manufacturing Engineering and Management Department. Dr. Rosemary Seva, Dean of the Gokongwei College of Engineering welcomed the participants and the event was hosted by Dr. Marlon D.L. Era of the Social Development Research Center, who serves as a Social Scientist Consultant to the project. 1. To introduce the (PUBFix) project as well as the other ITS projects to the stakeholders, most especially the bus operators and drivers. 2. To solicit the support of bus operators/companies through the use of their buses as test vehicles for the automatic bus passenger counter being developed. The program started with a welcoming message from Dr. Rosemary Seva, Dean of the Gokongwei College of Engineering. Project leader, Dr. Alexis Fillone, proceeded to give an overview of the Stakeholder Orientation, afterwards. Dr. Ricardo Sigua of the UP-NCTS started things off with his presentation on the various ITS Programs in the Philippines, while Dr. Mike Gyeng Chul Kim, who currently serves as the Special Advisor to the Secretary of the DOTC, shared his insights and experiences in the bus transit system reform he spearheaded in Seoul, Korea. Also from the DOTC, Mr. Robert Siy opened the discussion on the bus management system improvement programs of the DOTC and how the government institutions and the bus operators, along with the support of the academic and research community, can cooperate into forging a system that focuses on giving the best possible service to the travelling public. A presentation on Advance Traffic and Pollution Monitoring and Analysis System (ATPMS) by Dr. Kardi Teknomo of the ADMU followed. Engr. Edwin Sybingco of the DLSU, ended the morning session with a presentation on SMART Bus Data Capture. Dr. Alexis Fillone of the DLSU started the afternoon session with a presentation on the PUBFix project, and how the bus operators can cooperate in the data gathering, entitling them to have access to both the data and output of the project. Mr. Jason Obregon, on behalf of Dr. Noriel Tiglao of STRIDE, discussed a presentation on the passenger counting device to be installed on the bus fleet of the participating bus companies. He lectured how STRIDE developed the devise, what it does, and how it can be used. Engr. Raymund Paolo Abad and Engr. Cyrill Escolano, both from the DLSU, presented their respective researches on how the data output of the device can be used by the bus operators in scheduling their operations. Attendees from the government institutions, academic and research institutions, and bus companies were then asked to sign a Pledge of Commitment, to signify their vow to cooperate, in recognition of their respective shares of roles to play and responsibilities to fulfill in providing a safe and efficient public transport system. Assistant Project Leader, Dr. Elmer Dadios delivered a short message to end the program, afterwards.